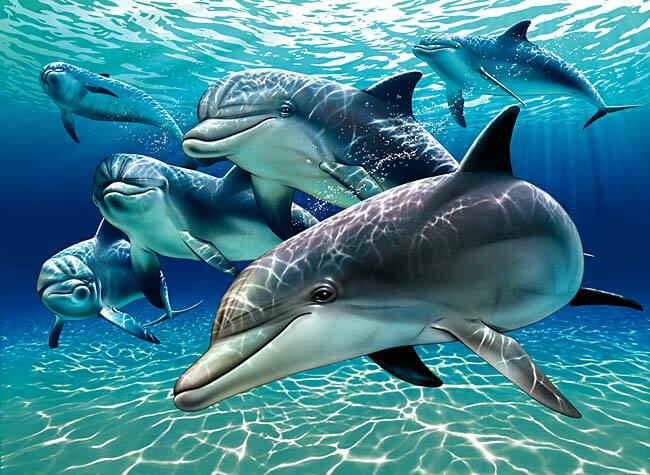 In the 60’s, Dr. John C Lilly began to posit the possibility of talking to Dolphins. Much like a real-life Walter Bishop, Lilly was not adverse to recreational drugs and isolation tanks for sensory deprivation experiments. In his books (Man and Dolphin, The Dolphin in History, The Mind of the Dolphin, Lilly on Dolphins, etc) he explored the relationship between Dolphin and Human, and the effect that holding a conversation with them could have on the human way of life. Certainly it would be far more revolutionary than it appears on the surface – much more than the dolphin character on Seaquest DSV! Lilly, who died in 2001, described Dolphins helping us to re-think the way the fishing industry operates, and help us to measure ocean currents. They could help with rescue operations, locating space capsule pods that have splashed-down, or even help with ecological disasters. In a world that is obsessed, in a way, with listening in on aliens (SETI) and conversing and meeting with them, we sort of neglect the fact that there are intelligent creatures who inhabit this Earth, whose complex social structures and characteristics we take for granted. What if we could talk not only to Dolphins, but Whales? What might we learn about the planet itself? What mysteries of the deepest oceans would be revealed to us? Despite devoting his life to holding a conversation with our water-bound mammalian cousins, Lilly did not succeed. Perhaps he was ahead of his time. Well perhaps he wasn’t the only one who thought that being able to talk to Dolphins wasn’t such a crazy idea. Researchers at the Wild Dolphin Project in Florida have plans to renew the research. They have developed a device, called the Cetacean Hearing and Telemetry, or CHAT, that can ‘talk’ to dolphins in a very crude manner. When it is tested, if the dolphins respond, we may be able to hold our first conversation – of a fashion – with them. There is a fantastic article in a 1960 article in TIME magazine, from when Lilly was trying to discern the Dolphin language. You can read that HERE.